We have already shown you the Ralph Lauren RL67 Safari Chronometer numerous times, including HERE in the 39 mm case and HERE in the 45 mm size. 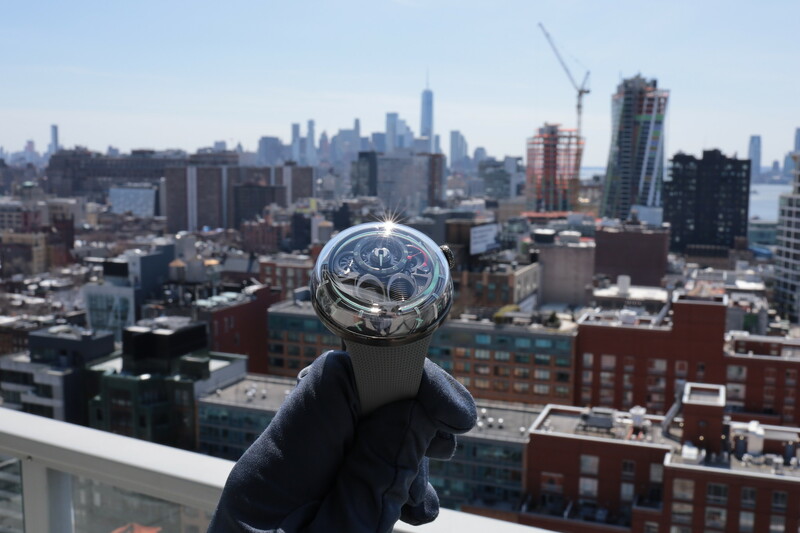 But recently, we took it a step further and wore the watch for a weekend in Vegas, around town, at the pool, at the club, giving it a more thorough test. Read on to hear our thoughts. First off, having a 7.5″ wrist or smaller, the 39 mm seemed liked the ideal size. And upon arriving and strapping it on, we confirmed this. When we asked Ralph Lauren Watch Co. if the 39 mm is marketed towards men or women, they said it does, in fact, target the former, but can also be worn by the latter, as seen by so many women nowadays, who wear bigger watches. 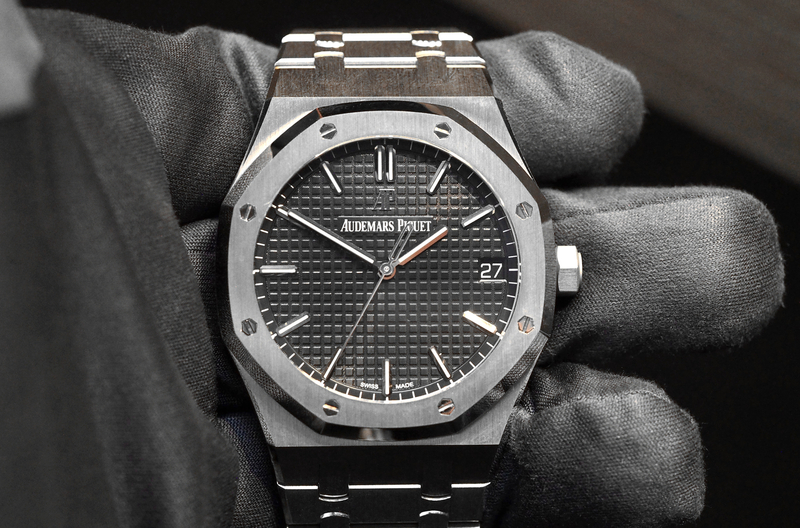 If you have extra-large wrists or prefer the oversized look, then go with the 45 mm version. Second, while the watch is not powered by a Jaeger-LeCoultre, Piaget or IWC movement – like many of the Ralph Lauren watch models have been equipped with since the beginning of the joint venture between Ralph Lauren and the Richemont group (who owns all of the aforementioned brands) – it is instead equipped with a Sellita SW-300 Chronometer grade movement that beats at 4Hz, has a 42-hour power reserve and is finished with vertical Côtes de Genève and perlage (circular graining). The advantage is that it can be offered at a much more affordable price point because it is not an exclusive in-house manufactured Richemont caliber. But don’t let that deter you, because as I mentioned, it is a chronometer level movement, so it is highly reliable and accurate. Something I can attest to over the course of my time wearing. The precision was right on. 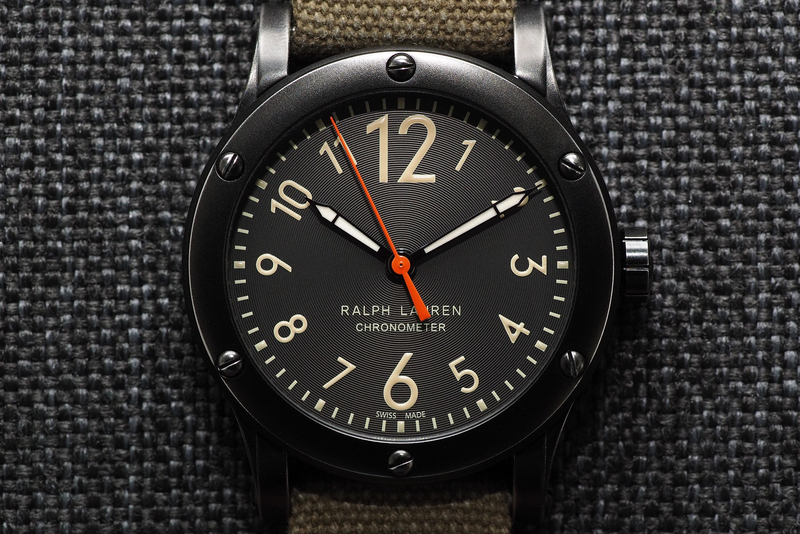 Third, the (38.70 mm by 10.40 mm) case which is made in what Ralph Lauren calls “black aged stainless steel” is more of a dark greyish gunmetal color. The hue is excellent, giving the watch an appearance that is distinctive from your typical murdered-out timepiece. Furthermore, the PVD finish is very robust, which I tested first hand by accidentally banging it into a wall. It took the white paint right off the wall, I wiped it off, and there was not even a scratch on the case. There is something to be said about a watch that you can beat up without worrying too much about damaging it. Fourth, is the azure anthracite dial, finished with a matte varnish. The large concentric circle pattern is stamped onto the dial with a CNC machine, resulting in what is called an “azurage” finish. The pattern, which is typically used on smaller subdials, looks great as the entire backdrop for the dial. On top of that are big, easy to read beige luminescent Arabic numbers that have been printed. The minute track is printed in the same color material around the outer ring. The sword-shaped hour and minute hands have a shiny black oxidized finish and are filled with a luminescent material the matches the Arabic hour numerals. A shiny orange varnish painted, baton-shaped center seconds gives the watch a nice color contrast. Printed in the middle is “RALPH LAUREN Chronometer.” And there is no date display. Overall, the minimalist look is great and offers easy time reading at a glance, which is great while you are rushing around and having fun in Vegas. Lastly, the dial is protected by a slightly convex sapphire crystal with an internal colorless anti-reflective treatment. 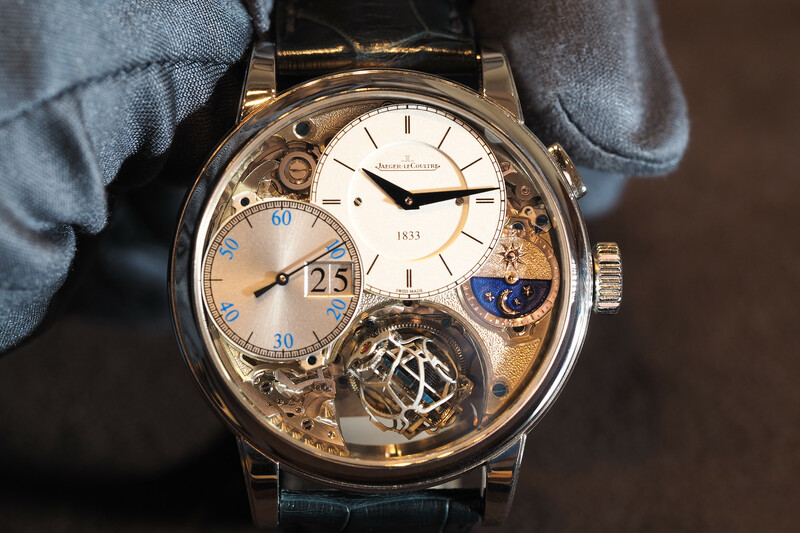 The bezel and lug screws are non-functional, however, the solid caseback is secured by six functional screws. The steel crown is signed with “RL” and screws down. Ralph Lauren may not be the name you associate with wristwatches, but believe me they take this part of their business just as serious as the fashion side of the business. In fact, Ralph Lauren, whom I’ve personally met, is involved in every design decision. While the olive green “weathered” canvas strap, with black leather lining and a black “aged” stainless steel pin buckle, works flawlessly with the Safari look, so does an aftermarket Nato strap, which is also what I recommend if you want to use this around water. In my opinion, the watch is the right size and has the look that works equally well at the beach or with a sports shirt. And while it is not a dive watch, it is perfect for the beach, lake, pool or boat, mainly because it has a locking crown, good water sealing and is 100 meters water-resistant. Further, the circular azurage finish dial looks awesome, and the readability is amongst the best I have seen.